Is Microsoft’s Windows 8 for You? 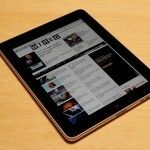 The popularity of tablets, such as Apple’s iPad, has had a significant impact on the sales of personal computers. However, despite the surge in tablet sales, businesses still and will continue to rely on basic computers. While I own a number of Apple products such as an iMac, iPhone, and iPad, I rely on a Windows based machine for my business. Several weeks ago, I bought a new computer with the new Windows 8 operating system, and after a period of getting used to the changes, have found its performance to be a significant upgrade over their previous operating systems. Microsoft has finally addressed the need for greater integration with mobile devices.The introduction of their Suface tablet will surely have an impact during the coming months as many manufactures will be introducing tablets with the new Microsoft operating system. Is Windows 8 for you?. As I have stated it the past, it depends on your specific needs. This past week, my guest on my BlogTalkRadio program, “Keeping Technology Simple,” was Carl Mazzanti, the CEO of e-Mazzanti Technologies, and a Microsoft Partner of the Year in 2012. His company is one of the premier IT consulting services for businesses ranging from home office and retail clients to multinational corporations throughout the New York metropolitan area and numerous international locations. On the program, Carl discussed the importance of the launch of Windows 8, particularly to his corporate clients, and the impact it will have in the coming months. Carl first appeared on the program shortly after the launch of Windows 8, and the number of people that have been listening to the podcast continues to grow each week. The reaction to last week’s program has also been extraordinary. If you missed the program, you can access it anytime by clicking on the link below. ARE YOU PART OF THE NEW MOBILE WORLD? – Select a mobile device (iPhone, Android, Blackberry, iPad, etc.) based on your needs. – Understand the differences between “data” and phone plans. – Understand the rules for accessing the internet while traveling. – Use mobile apps for travel sites (hotels, flights, etc.) as well as information such as restaurants, weather, news, movies, online banking, stocks, etc. – Control your telephone costs. – Access your critical files. – Store important personal information such as medications, emergency contacts, passwords, etc. According to the most recent report issued by Ericsson, the number of worldwide mobile subscribers in 2011 was 6 billion. Within the next five years, the number will grow to close to 9 billion. The population of the United states is 315 million. There are over 325 million cell phones in use in the US. Smartphones (iPhones, Androids, Blackberries, etc) now represent over 50% of all mobile phone sales. I can make you a true “road warrior.” To set up a free consultation, I can be reached by phone at 917-921-4518 or by e-mail at jblue@bluetutor.com. MagicJack, the popular (VOIP) internet based phone system has recently introduced a new program that allows you to make and receive phone calls without your computer being turned on. For those of you who are not familiar with MagicJack, the system lets you make free telephone calls to anywhere in the United States, regardless of your location, whether you are in the US or abroad. How does it work? When you sign up, you select a phone number with your local area code (in New York, either 917,646, or 347). 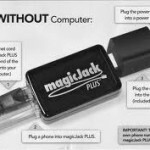 What this means is when you plug your MagicJack into your computer, you are calling through the Internet making it possible to make what appears to be a local call within the US, MagicJack is a tiny device that is plugged into one of the USB slots in your computer. The device costs $39.99 with an annual fee of $19.99. Not only that, but when you purchase a MagicJack, you get the first year for free – no monthly charges. You can purchase one at places like Best Buy or online at magicjack.com. With its new enhanced program called MagicJack Plus ( at a slightly higher rate), you no longer need a computer. No more having to keep your computer on at all times. You can use any phone, stationary or portable and simply plug it into your new phone jack in the MagicJack PLUS which can be plugged into the wall now. The MagicJack Plus device is than plugged into your router. If you want to reduce your telephone costs, you can now “port” over your existing home phone number to MagicJack Plus and take your home phone number wherever you go.